Writer Halley Brennan couldn’t dream up a better love story than her own. Married for eleven years, she and her husband, Adam, are still living their happily ever after. They both know what they want—and don’t want—for their life together. And that includes being child-free. But when one of them has a change of heart about wanting a baby, it brings their marriage and life plans into harsher focus. 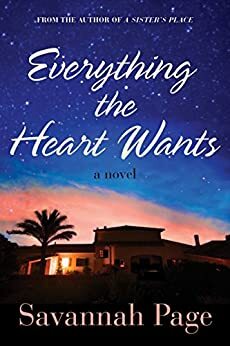 Devastated that this bombshell might destroy their relationship, Halley finds comfort in her closest friends: Nina, who’s finally pregnant after years of trying; her sister, Charlotte, an overwhelmed mother of three; and Marian, a successful businesswoman who regrets letting go of her one true love. Now, with their guidance and support, Halley begins a painful journey of self-discovery. As she searches her heart to make a life-changing decision for both herself and Adam, she realizes that someone is bound to get hurt. Will their perfect love be too great a sacrifice for everything her heart wants? 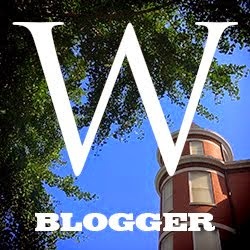 How should I review a book that I didn't enjoy but which was well-written? I didn't enjoy this book because my beliefs on the nature and purpose of marriage are at odds with the main character's. I believe that a "child-free" marriage is a tragedy, not a goal and so I had a hard time relating to or even liking Halley and the resolution of her problem didn't make me feel good. Aleksandr Berinksi is a Russian biochemist in the United States on a visa, which is about to expire. Marriage will allow him to stay—marriage to Julia Conrad. If Julia’s going to save her Seattle-based company, she needs him as much as he needs her. There’s a Groom Wanted in Julia’s life. And not just any groom! A billboard on the side of a Seattle road is common enough—but one advertising for a bride? It’s Chase Goodwin’s solution to the problem of finding a wife quickly, a wife to bring home to Alaska. 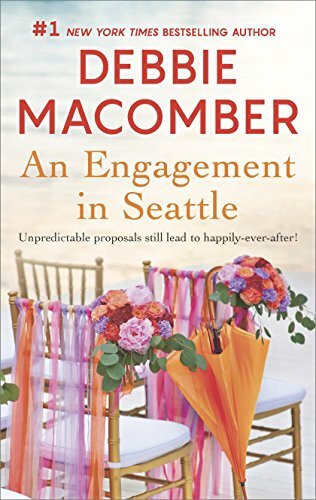 Lesley Campbell has her own reasons for responding…and in no time she’s the Bride Wanted in Chase’s life! According to the back cover copy above, this book has two stories; my NetGalley only had one, and it was about what you would expect from a romance novel bundled with another in one volume. About the best grade I give these short formula romances is a B-, so that's what this one gets. 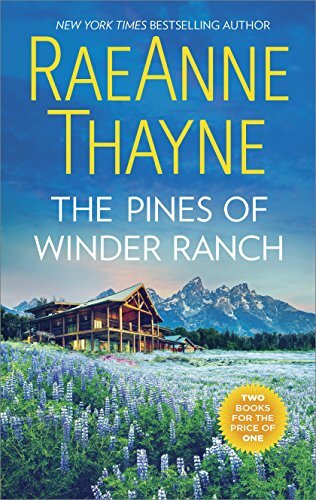 If you are a RaeAnn Thayne fan who is considering this book, realize that both of these stories have been previously published. I reviewed A Cold Creek Reunion here. Christmas is approaching on the island of Jersey, but Libby is feeling far from festive. 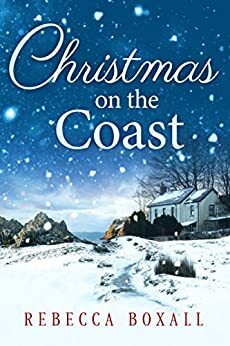 Her police work and duties as vicar’s wife weigh heavily on her, she’s anxious about her troubled children, and now her best friend, Stella, has suddenly turned against her, citing a mysterious family grudge. Libby is devastated by Stella’s unexpected coldness. But then her father shows her a diary written by her great-aunt Queenie, which sheds light on a long-hidden secret—one rooted in love, loyalty and betrayal. Writing during the Nazi occupation of Jersey in the winter of 1941, Queenie reveals a community torn apart by illicit romance, heartbreak and revenge—and by dark acts of fear and desperation. The more Libby immerses herself in Queenie’s journal, the more she understands why its secrets still haunt her family and Stella’s. Christmas is a time of forgiveness, but is the treachery of their shared past too shameful to be forgotten? This is one of those book I always thought would be better than what it turned out to be. I loved the setting--the island of Jersey, in between England and France. I loved the dual time lines--part of the book was set during WWII and part of it was in 2016. I liked the way the WWII story was told via journal entries. What didn't I like? Well, the whole story about Stella turning away from her because of a family grudge. These women had been friends through thick and thin since they were kids (now they have grown kids) and they knew there had "always" been problems between the families and now that she knew the reason (something that obviously had nothing to do with their generation) Stella was going to leave a close friend? Sorry, I don't buy it. I'd like to thank the publisher for making the book available via NetGalley. I was not obligated to write a positive review. If you have Kindle Unlimited, this book is part of it. 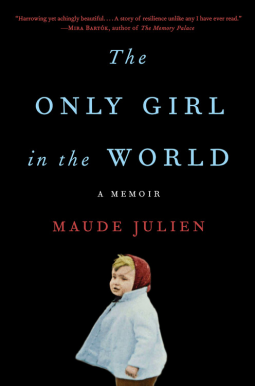 Maude Julien's parents were fanatics who believed it was their sacred duty to turn her into the ultimate survivor - raising her in isolation, tyrannizing her childhood and subjecting her to endless drills designed to "eliminate weakness." Maude learned to hold an electric fence for minutes without flinching, and to sit perfectly still in a rat-infested cellar all night long (her mother sewed bells onto her clothes that would give her away if she moved). She endured a life without heat, hot water, adequate food, friendship, or any kind of affectionate treatment. But Maude's parents could not rule her inner life. Befriending the animals on the lonely estate as well as the characters in the novels she read in secret, young Maude nurtured in herself the compassion and love that her parents forbid as weak. And when, after more than a decade, an outsider managed to penetrate her family's paranoid world, Maude seized her opportunity. By turns horrifying and magical, The Only Girl in the World is a story that will grip you from the first page and leave you spellbound, a chilling exploration of psychological control that ends with a glorious escape. Most of the time when I think of child abuse I think of adults who cannot control their tempers or who sexually abuse children or who neglect them. I don't think of people who purposefully set out to conceive and raise a child who knows no tenderness or care. Showing emotions such as fear or love--or even showing that you had a preference about things was considered a weakness in her family and weaknesses were things to be eliminated. Maude was removed from school when she was four and the family moved to a large estate. Her contact with outsiders became less and less frequent until she was a teen. She managed to "escape" because a tutor realized how bad things were and convinced her parents that things would be worse at his school. Surprisingly, Maude made it out alive, and with her sense of humanity intact. My heartstrings tugged as a read what happened to her as a child and I kept wondering how many people had any idea what was happening to her. I kept wondering what could have been done to help her. As a volunteer who works with children in my Catholic parish, I have to attend "Safe Environment" training regularly and one of the topics is recongizing characteristics of abused children. Hopefully, if I ever have an abused child in my groups I will recongize it and be able to help the child.